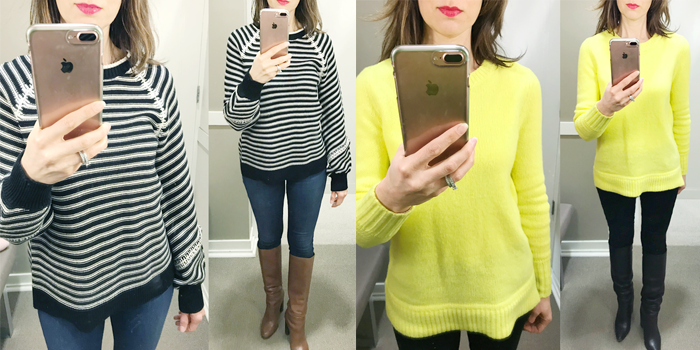 A few more spring picks and last few winter sales... And, if you are looking for a striped top/blouse - I found a lot of options here. Plus, I found these really cute striped pants. This striped tee is only $8. This classic button up shirt - in a silky material - up to 40% off. This floral ruffle dress would be perfect for Easter. This striped wrap dress is 50% off. I like these strappy slides - and they come in the popular gold. 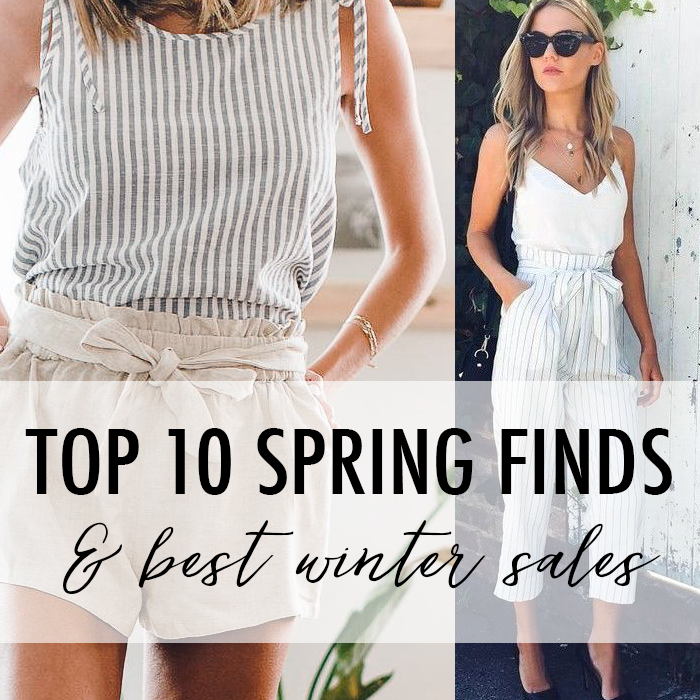 I love these necklaces - to dress up a spring look for 30% off. This is a pretty eyelet jacket that is 30% off. A fun striped cami dress - perfect sundress or cover up. This crossover wrap sweater is on sale for $15. 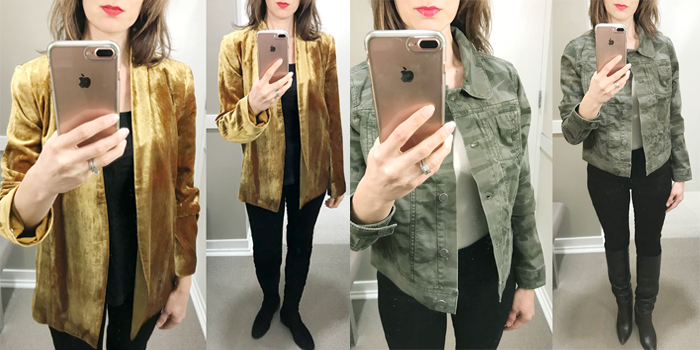 This shearling/suede moto jacket comes in two great colors and is under $50. 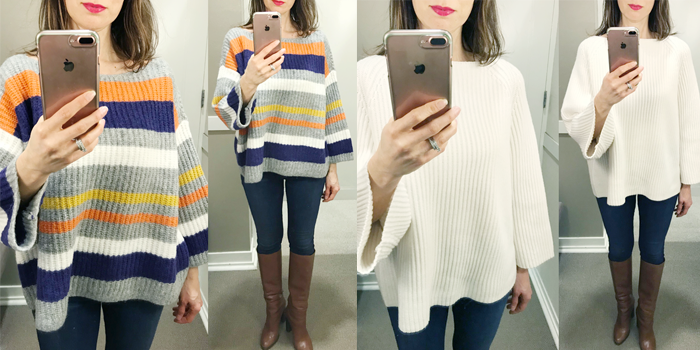 I tried on this fluffy $18 sweater - and it is super comfy. 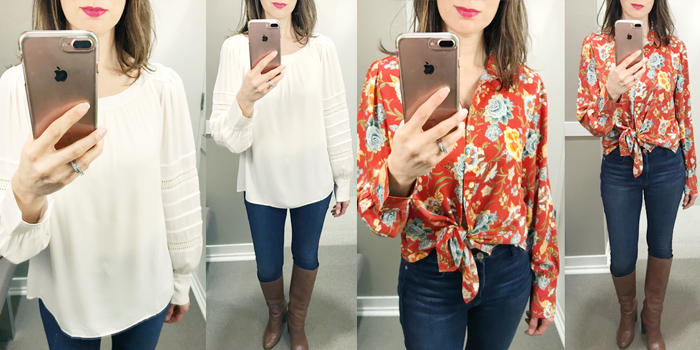 This bell sleeve top as low as $9. This great deal on this floral dress - could be worn this spring, too! This cute v-neck sweater with a bow in the back. Image Source: Left // Right // I am participation in the following link-ups.